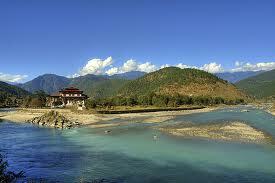 The isolated kingdom of Bhutan is one of the most expensive holiday destinations in the world and a haven for celebrities and the well-heeled. In 2012, it will become even more costly. Foreign tourists are required to book through licensed tour operators, who charge a minimum high-season price of $US200 ($A190) per day per person for an all-inclusive package including accommodation, food and transport. From the start of 2012, the high-season daily fee will rise to $US250 per day per person, meaning a stay in one of the basic hotels as part of the package will cost a travelling couple at least $US500 a night. This entry was posted in Bhutan on 2011/09/06 by Trailsurfer.